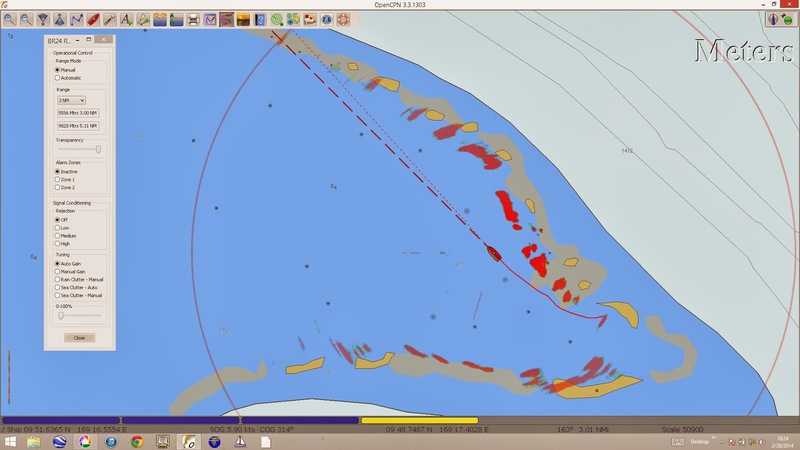 A few screen shots of our new Navico 3G radar using OpenCPN to view the image. This is super cool as it allow the consolidation of disparate data onto one screen. Navigation data, chart data and now radar overlay. 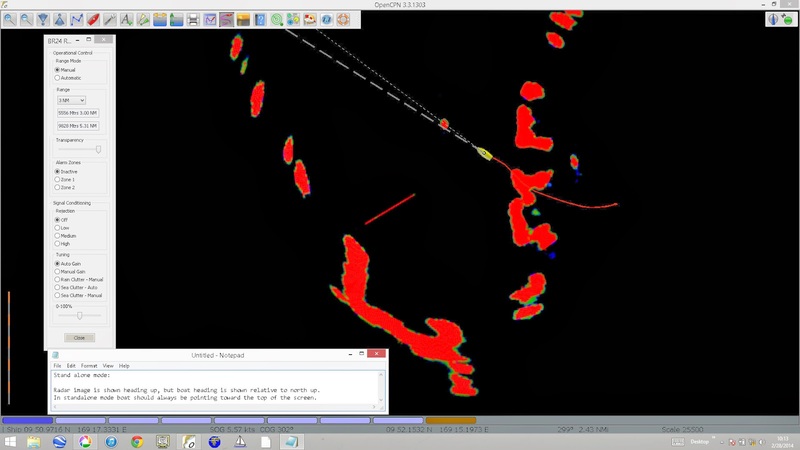 Until recently overlaying a radar image on a PC would have cost thousands in software and hardware. 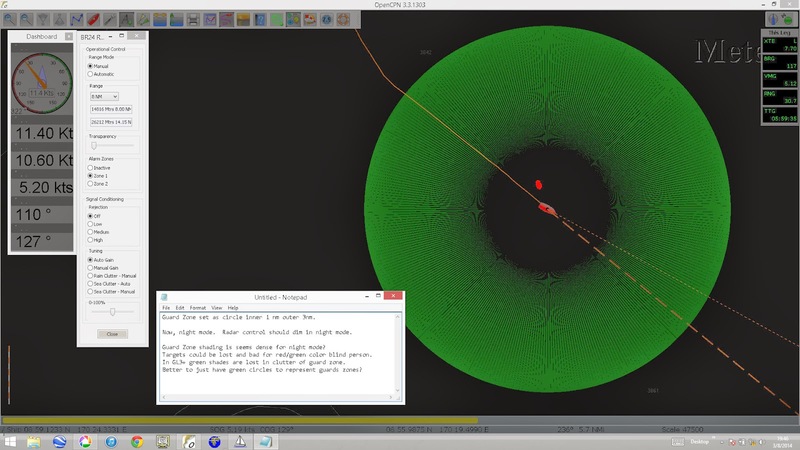 A HUGE thanks to Dave Cowell for tirelessly developing a radar plugin for OpenCPN. The plugin is called BRradar-pi.dll and transforms a PC into a power navigation tool. 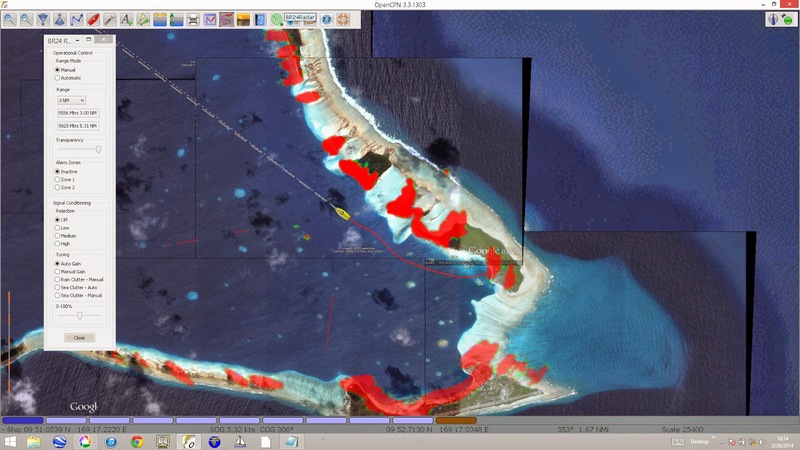 LightSpeed underway in Likiep atoll, Marashall islands with radar image overlaying a Google earth image. Very powerful navigation tools. Radar helps a bit, but the lack of detail and poor georeferencing of the CM93-v2 charts is very evident. 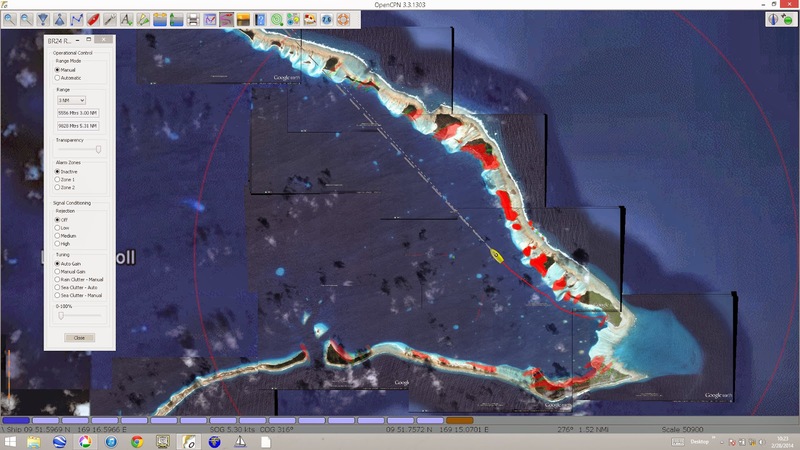 Google earth is a real game changer at Likiep atoll. Another overlay that shows the Google earth image is correctly georeferenced. Many of the dangerous shallow coral heads can also be seen on the Google earth image, but there is no substitute for hand steering and using the good old eyeballs. BRradar-pi.dll guard zone shown in night mode. Dave Cowell, please click on this image to enlarge and read the comments in the notepad. I think green rings would better describe the guard zone vs. the shading. Dave Cowell please click on this one as well to read the comment. Also compare with the below image.